purchase through Impression Technology Americas within the next month. 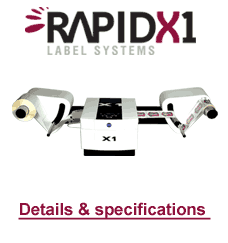 Please inquire about these substrates or the Memjet powered Rapid X1 and X2 printers. Both label printers print at speeds up to 60 feet per minute and a resolution of up to 1600 x 1600 dpi and are available in North, Central and South America.